Who hired Chevy Chase to carry the cage??? 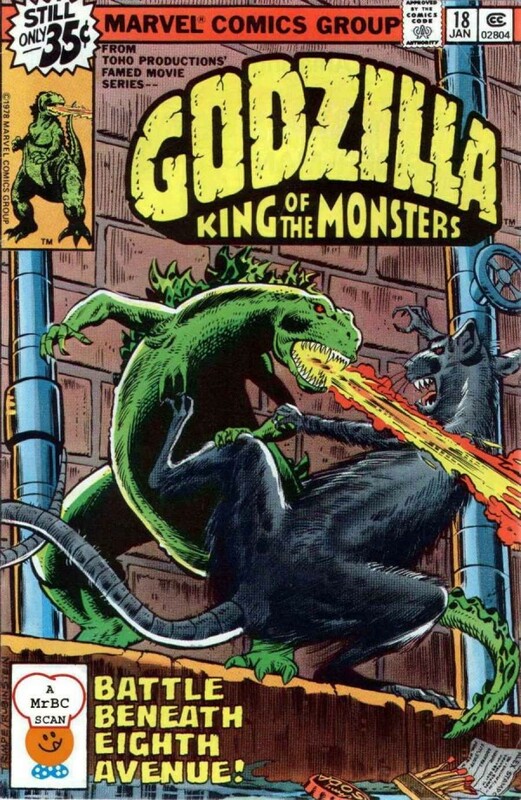 Last issue, Godzilla was shrunk down to size and captured by a butterfly net. 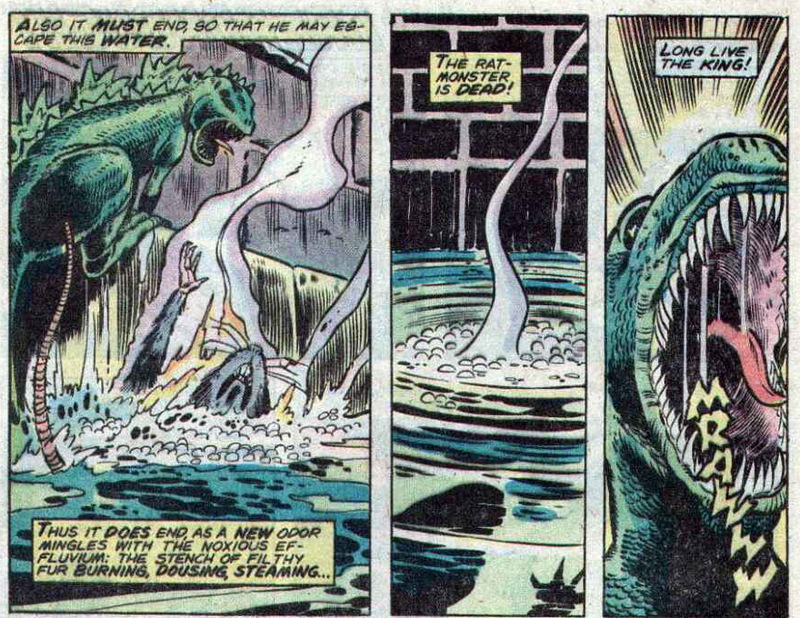 Now, Godzilla awaits his fate, except that he escapes and fights a rat in the sewer. It’s Godzilla #18! 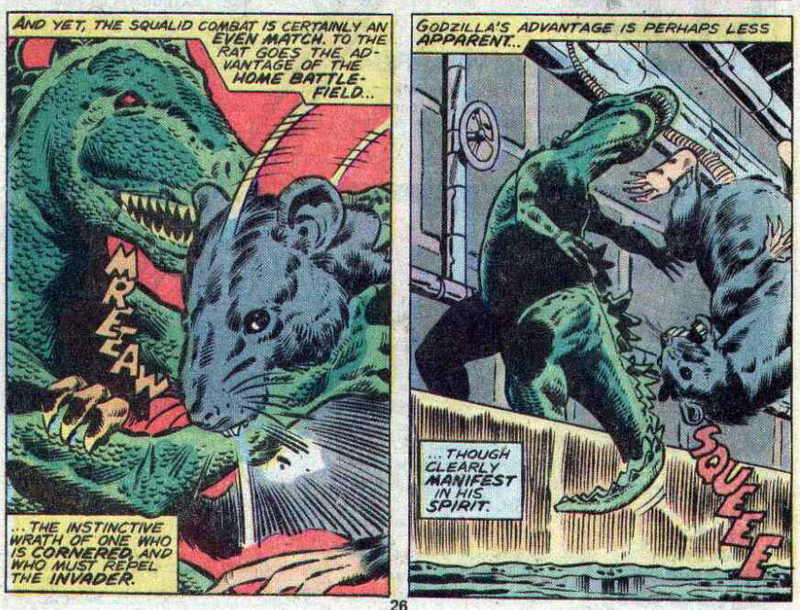 If you need a Marvel Godzilla rewind, check out the Godzilla Marvel Splash Page, and don’t forget to check out all of March of Godzilla 2013, which is the month-long event that lasts a year! 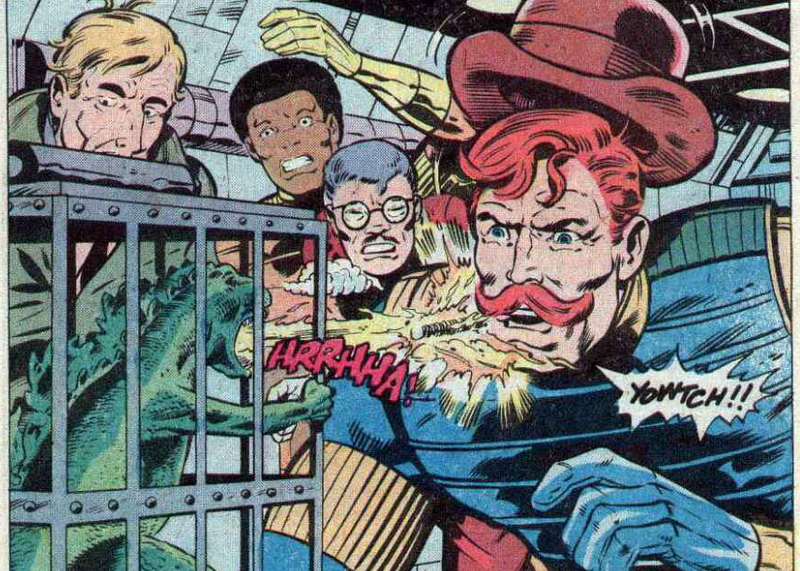 In a Real Moments of Genius™ moment, the heroes decide to take the shrunken Godzilla – who could grow to full size at any moment – to New York, the biggest city in America. 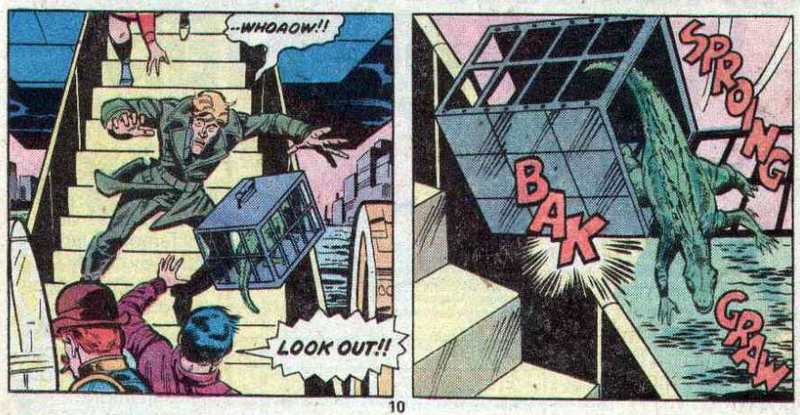 And they can’t give him more shrink gas because he’ll either get immune to it or die (neither things seem to bother Henry Pym, but whatever…) This is among the worst decisions in civilian casualties history, right up with Transformers driving the All Spark to downtown LA. But it’s far from the worst thing that happens in this issue, or even the beginning of this issues. 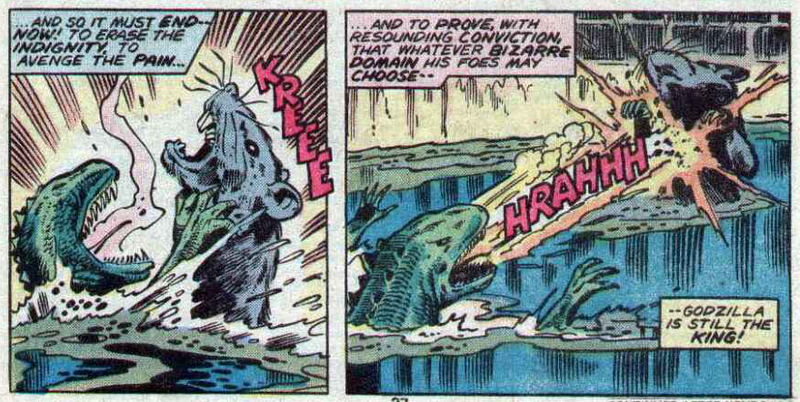 New character and complete dolt Dr Hawkins drops Godzilla’s cage while disembarking, and Godzilla falls out and into the bay! Robert says he was in a daze so he doesn’t know if he opened the cage. 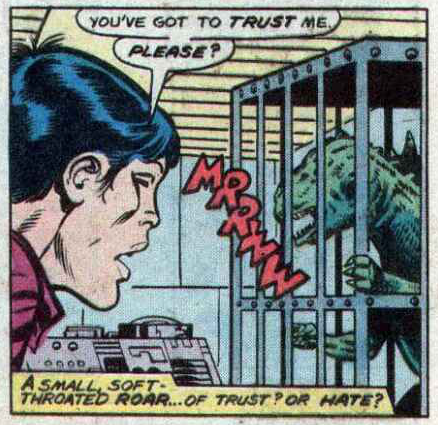 Not that it matters, because if the cage didn’t open, Godzilla would be drowned. Now he’s just escaped and running around New York City as a Mini-Me version of himself. Tiny Godzilla spooks a cab driver! Tiny Godzilla runs into the sewer! 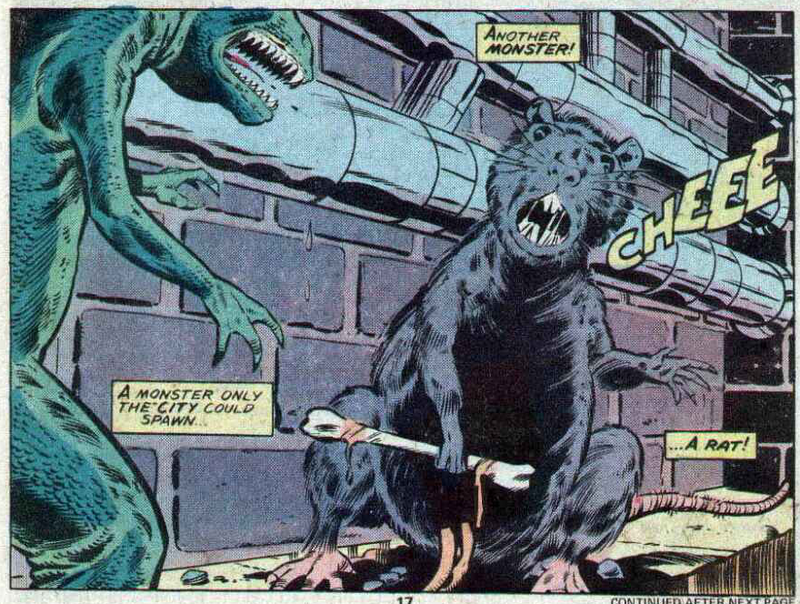 Godzilla battles a rat in the sewer! 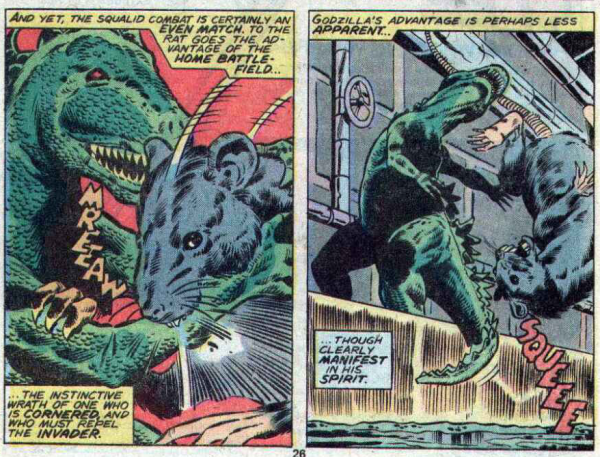 This is presented as an epic battle, with the rat treated as any other monstrous Godzilla foe. 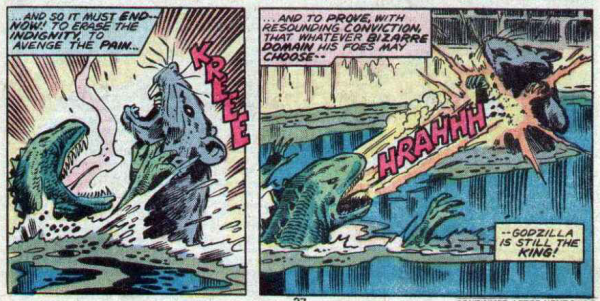 And like all Godzilla foes, the rat is dead! Robert escapes from the Behemoth to help look for Godzilla. He finds him just in time for the shrink ray to wear off! Just a bit. Now Robert and Godzilla are the same size. For great fun! 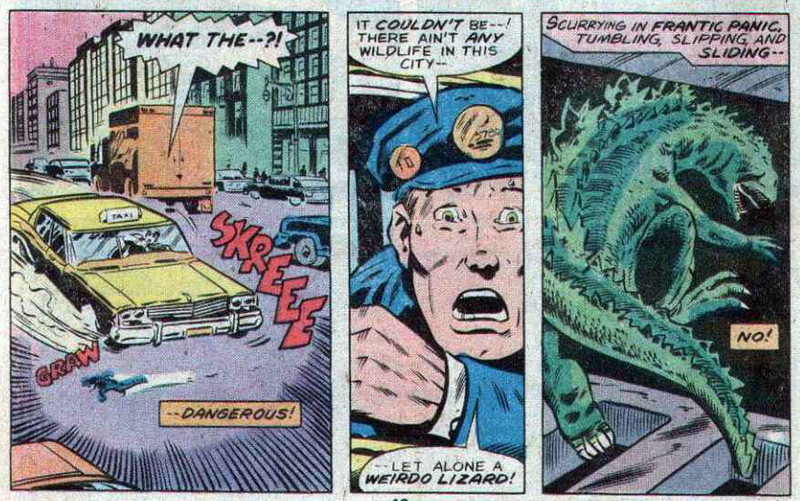 Tune in next issue, as Godzilla and Robert have an exciting time in dangerous 1970s New York City! That rat has spent years getting revenge on the business executive who moved his cheese! Tiny Godzilla – something New Yorkers would not look twice at! A cop is moonlighting as a taxi driver! Squeee here used in a rare non-cute manner! 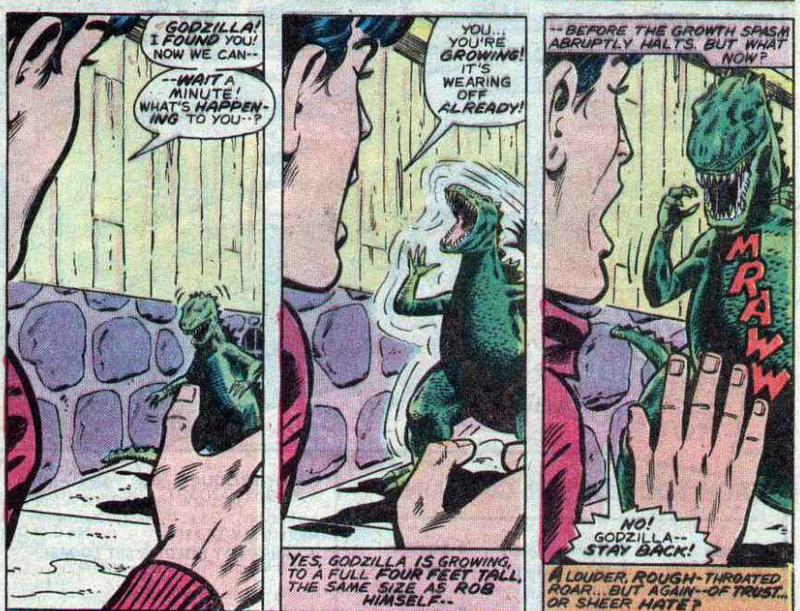 Now the rat is talking about the Kree-Skrull War, so of course Godzilla blasts him to shut him up! Good thing New York City sewers have such few rats, Godzilla should be all by his lonesome now! I may be a tiny Godzilla now, but I’m drinking milk! Luckily it does get better. But not for another issue or two!